Exposing the truth isn’t always an easy task. This film is dedicated to Banksy and all the anonymous artist’s. This story is about a young man named RG, who is determined to expose nerve wracking truths about the government through his art in country where any form of art is banned. Therefore, he is declared a wanted fugitive in the eyes of the law. 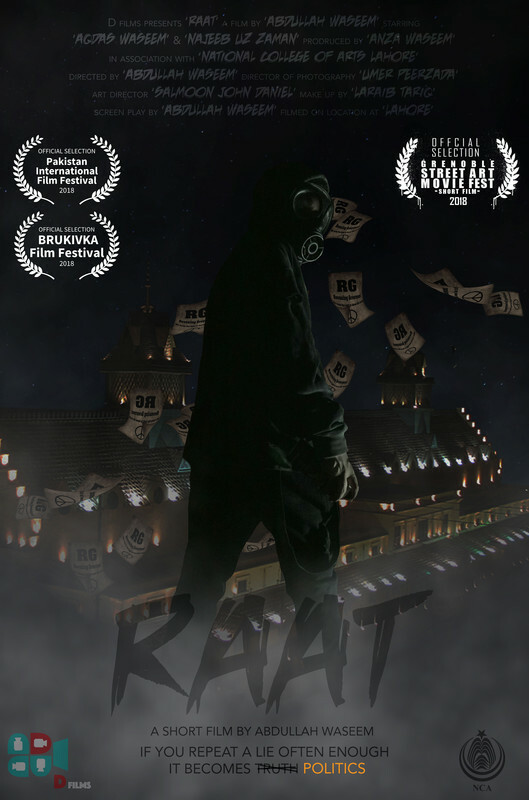 “Raat” is the story of a battle between right and wrong namely RG who is out to expose new secret and a undercover agent Amir who is chasing him down.